Sheffield is leading the way with two trailblazing University Technical Colleges that are equipping teenagers from across the region with the high level skills that employers and universities need. 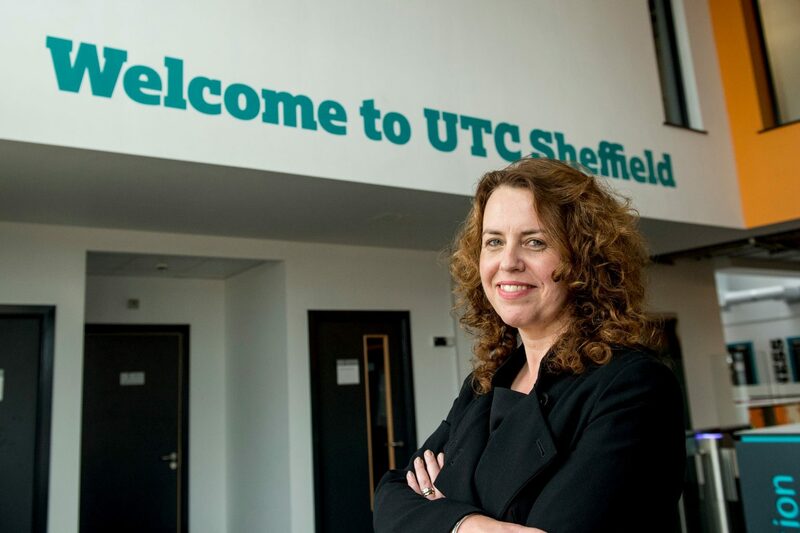 Sheffield is the only city outside of London to have two UTCs both of which are now Ofsted graded ‘good’. In the latest development, UTC Sheffield Olympic Legacy Park has been graded ‘good’ by the education watchdog following its first inspection. Ofsted congratulated leaders and governors at UTC Sheffield Olympic Legacy Park, in a milestone report published on 14 March 2019 – for establishing a popular and rapidly growing school with an innovative curriculum backed by employers that provides equal opportunities for boys and girls of all abilities. The £10 million facility, on Sheffield Olympic Legacy Park, opened in September 2016 and enables students of all abilities to study a specialist high quality technical qualification in computing, health sciences or sport science, geared to employers’ skills needs, as well as GCSE and A Level subjects. The UTC has been designed to meet the needs of regional employers by training the next generation of talent with the right skills and knowledge to fill the jobs of tomorrow. Students learn in the latest high tech facilities. Employers backing the UTC include Sheffield Teaching Hospitals NHS Foundation Trust, Sheffield Hallam University, the University of Sheffield, Sheffield Chamber of Commerce and Sheffield City Council. Good teaching: Most students benefit from good teaching that enables them to learn effectively and be successful in their studies. Strong support is in place for students with special educational needs and/or disabilities and this is helping them to make good progress. Employer-led projects: Employer-led ‘real-life’ projects engage and challenge students. They benefit from a good and realistic experience in the areas of computing, health sciences or sport and acquire a wide range of employability skills. Above the national average results: In 2018, the proportion of pupils achieving a standard pass (grade 4) and a strong pass (grade 5) or better in English and mathematics combined was above the national average. The proportion of pupils achieving a strong pass in English language or a strong pass in mathematics was also above the national average. The progress of current post-16 students on vocational courses is strong and above the national average. Positive destinations: In 2018, all Year 11 and Year 13 students went into further education, training or employment. The rate of progression to higher education and apprenticeships is high. One third of the Year 13 students secured higher-level apprenticeships or employment and two thirds progressed to courses at universities, most linked to the UTC’s specialisms.